Medical advocacy at multiple levels (self, community/interpersonal, national/public health interest) may be helpful to address the disproportionate burden of breast cancer African-American women encounter. Little, however, is known about the interplay of medical advocacy at different levels. We analyzed qualitative data from two studies focused on the psychosocial experiences of breast cancer among 38 African-American women living in Western Washington State. Emergent themes suggested that survivors received community/interpersonal advocacy from different members of social networks in the form of social support (appraisal, emotional, informational, instrumental). 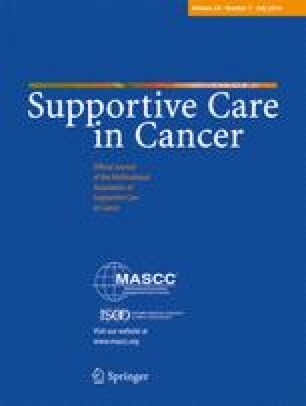 Survivors indicated that receiving this support was associated with greater self-advocacy in terms of their own care experiences, as well as greater community/interpersonal advocacy on their part as resources to other women diagnosed with breast cancer, their family, friends, and larger communities. Our findings suggest that community/interpersonal advocacy, including providing different types of support, may lead to improved self-advocacy as well as health-protective impacts for the networks in which survivors are embedded. Future quantitative research is warranted to support these findings and assess how this interplay is associated with improved outcomes among this marginalized and resilient population. The authors would like to thank study participants for their time, effort, and perspectives. For their assistance with data collection, we thank expert interviewers Edree Allen-Agbro and Arthur Walker. This work was supported by the National Cancer Institute under grant numbers U54CA202997, R25CA92408 and K01CA154938-01A1 and the Puget Sound Affiliate of Susan G. Komen. YM was also supported by the University of Illinois Cancer Center and Center for Research on Women and Gender. The opinions or assertions contained herein are the private ones of the authors and are not considered as official or reflecting the views of the National Institutes of Health or Susan G. Komen.